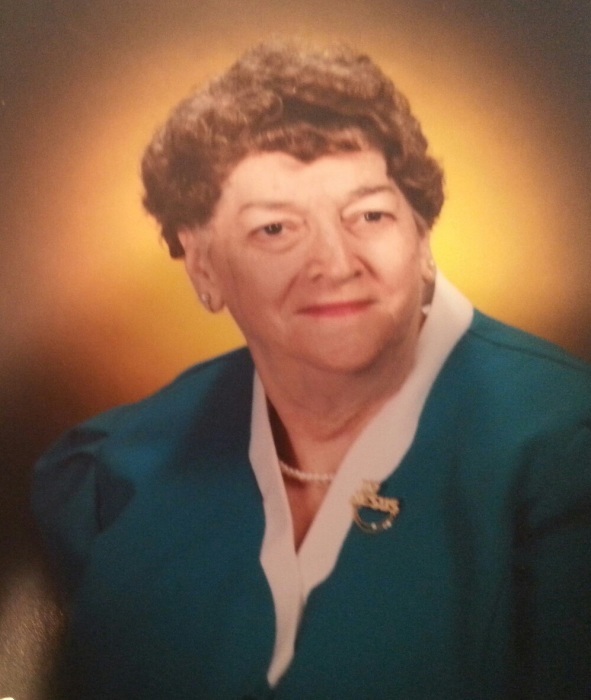 Funeral service for Mary Jo Franklin, age 89, of Longview will be held at 2:00 PM on Tuesday, February 12, 2019 at Murray-Orwosky Funeral Chapel with Bro. Ricky Lawler officiating and Chris Vidacovich assisting. Interment will follow at Sulphur Springs City Cemetery with the Grandsons and Great Grandsons serving as pallbearers. Visitation will be held one hour prior to the service. Mrs. Franklin passed away on Sunday, February 10, 2019 in Longview. Mary Jo was born on August 20, 1929 in Sulphur Springs to Joseph Edwin and Leola Holland Smith. She married Lee Roy Franklin whom she was married to for 42 years when he passed away. Mary was a preacher’s wife, mother, grandmother, school teacher, Sunday school teacher. She loved to cook and go fishing and was a friend to all she met. She is survived by her children and their spouses, Roy Franklin and wife, Cynthia, Iva Melinda Mercer and husband, Roger, Roland Franklin and wife, Connie, Genia Williams and husband, Ricks; ten grandchildren; twenty-three great grandchildren and two great great grandchildren. Mary Jo was preceded in death by her parents and husband.